This year, Star Wars is full of hope again. Fan expectations are at a high we haven't seen since the day after opening day of Episode I: the Phantom Menace back in 1999. We have casting announcements for the new trilogy, and May the Fourth is bringing in news by the hour! 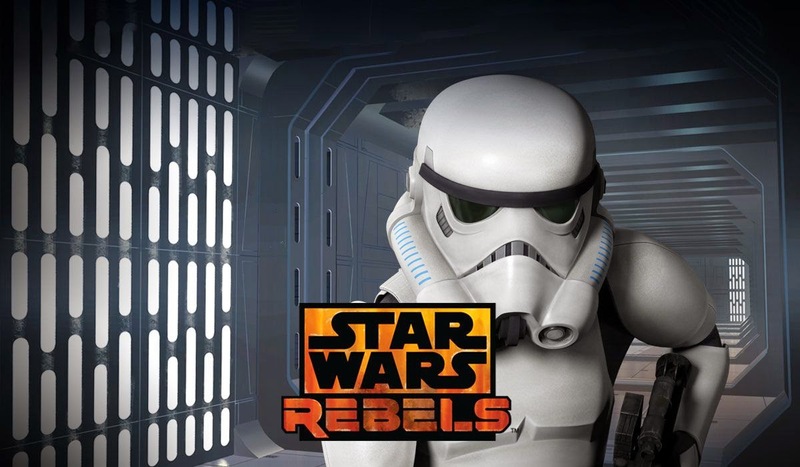 Our first treat, released by StarWars.com at 12:01am, is a full trailer for the upcoming animated series Star Wars Rebels. For context, I'm personally against Episodes 1-3. I saw Episode I at midnight on opening night. I bought tickets days in advance, stood in line for hours, and cheered the cosplayers who staged lightsaber duels before the movie. Having been born in the late '70s (really late, like super late, I'm totally young, you guys), I was absolutely pumped for more Star Wars. The feeling in the pit of my stomach over the proceeding 2 hours still hasn't disappeared. I saw Episode II, then III, and as you can probably tell, I'm a little bitter to this day. I gave the animated series Star Wars: the Clone Wars a try and couldn't do it. It seemed that anything pre-Episode IV is forever tainted in my heart. So here we are with Rebels. There are familiar-looking ships, closed-quarter action sequences, and no mention of any trade embargo, nor a single scene taking place at a council meeting of any kind. To suggest that I have hope again is tentative but true. Have a look. It is the future you see. I admit I'm looking forward to this series in a way I haven't enjoyed Star Wars in over a decade. I don't think I'm the only one, as a tide seems to be turning in the fanbase. When George Lucas sold the franchise to Disney, the overall reaction was almost relief. That's a pretty big indicator that any change at this point is welcome. Does anyone know the feeling I'm talking about? Am I alone putting a pin in my excitement while wearing it proudly at the same time?